The California Walnut Board turned to iiD to completely redesign the organization’s consumer and professional facing digital experience. 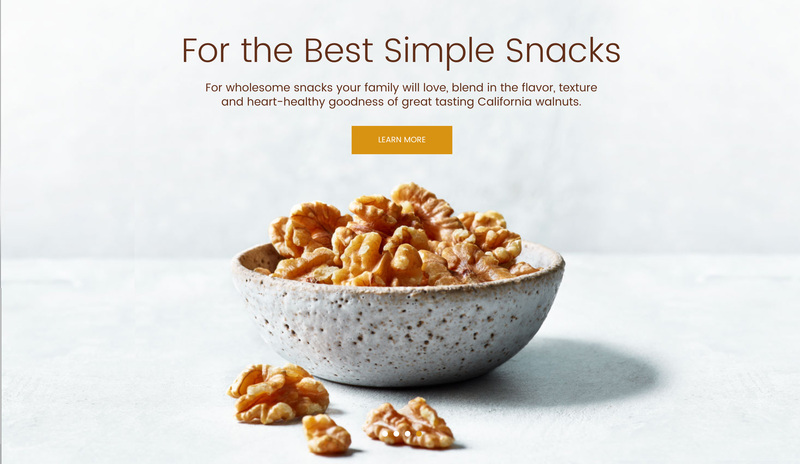 Working closely with California Walnuts, we designed an all-new user experience, an ultra-modern UI, and a mouth-watering food brand. More than simply an elegant recipe site, walnuts.org also offers how-to tips and nutrition advice for consumers. At the same time, the site also delivers valuable content to health professionals, the walnut industry and foodservice professionals. One of the biggest user experience challenges was to design for a very diverse set of target users. Through our UX process, we identified a site structure and flow to support consumer cooks as well as a variety of industry professionals. Key to our UX approach was prioritizing the consumer experience. We used color coding and photo styling to clearly differentiate consumer cooking and nutritional content from professional and industry content. A new design for consumers, health professionals, walnut industry and food professionals. Increased ability for different user segments to intuitively find relevant content.